Nail polish can mean so many things to me. It’s how I de-stress when I’ve had a long day, and I’ve even read about the meditative effects of stopping everything in your life and focusing on the one task of polishing your nails perfectly when you need an extra boost of relaxation or creativity. It’s how I get to show off my fun side when I have to dress in pencil skirts more often than I don’t have to dress in pencil skirts. And, lately, it’s how I’ve been connecting to friends and family old and new both through this blog and through my various other nail-polish related social media. So anyway, about the Mercury Bubbles. Sailor Moon, and more importantly Sailor Mercury, and I have had a long and complicated relationship in the past, and by that I mean I adored the show in the fourth and fifth grades, promptly forgot about it until college, and then remembered its hilarious combination of awfulness and wonderfulness when I used it to bond with my hallmates in my dorm. In preparation for an ocean-themed party, here is my best friend Bri in the middle as Sailor Moon. I was dressed as Ophelia, because of course the English major dressed as Ophelia. If you’ve read anything on this blog (and if you have, which means you’re one of my dozen or so readers, I can’t thank you enough!) you’ll know that my favorite color is blue. Additionally, I always found myself relating more to the brainy or nerdy characters in my favorite TV shows, mostly because growing up a geek sort of leads to that inevitable conclusion. So when the hallway-wide Pajamas-and-Sailor-Moon parties began, I immediately declared that my favorite character was Ami Mizuno, better known as Sailor Mercury. 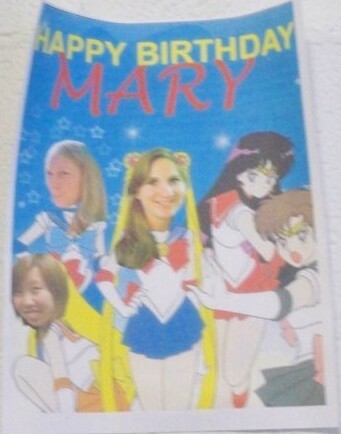 In fact, it even got to the point where my one friend gave me a poorly (sorry, Lynda) photoshopped picture of some of us as the Sailor Scouts for my birthday that year. And even to this day, Sailor Moon is bringing old and new friends together. I’m still in touch with all the girls in the pictures above, and I’ll be a bridesmaid in Sailor Moon’s wedding this fall (sorry, it’s not Sailor Scout-themed). 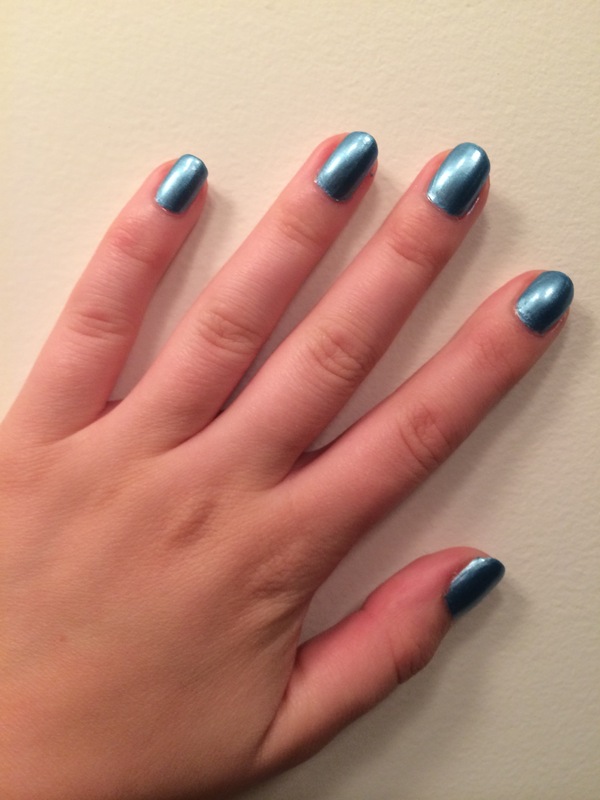 More importantly, I’ve connected more with my cousin over Facebook and through this blog, and she was kind enough to send me some pretty spectacular nail polish when she figured out my love of Sailor Mercury. Pictured: Not my nails. This is the official image from the Etsy shop. 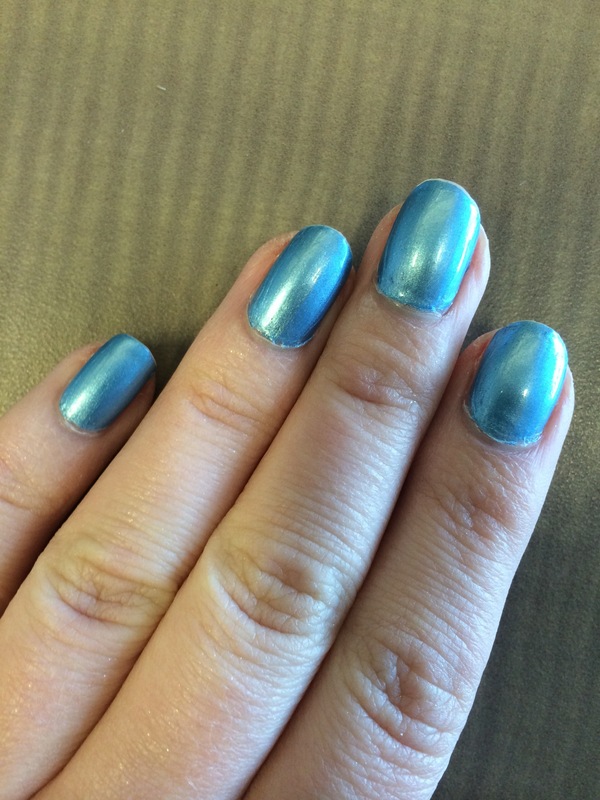 The color is a Mercury-inspired silvery-blue called “Icy Rhapsody,” probably because of Mercury’s Freeze attack (which I accomplished in elementary school games of dress-up by throwing blue beanbags at my opponents). You can find the color on Etsy at this link. 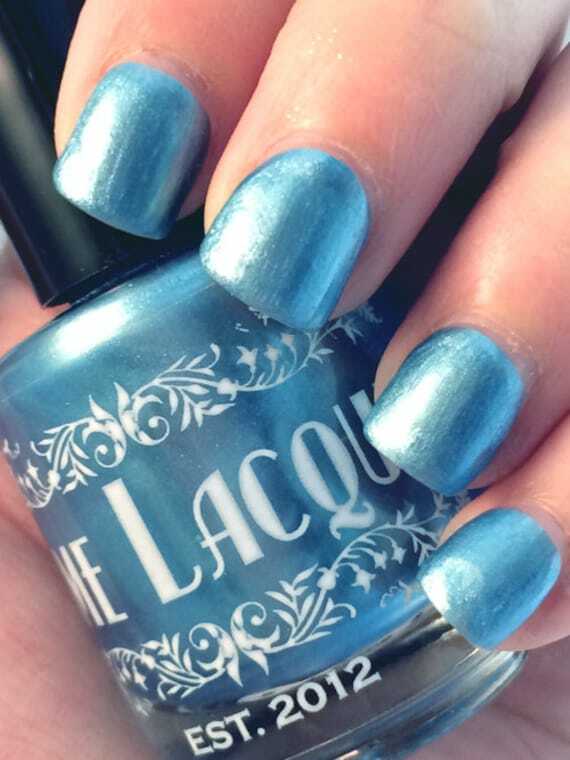 The shop is called Yume Lacquer, and I’m so excited to mention them here as they’re my first official Indie polishes! Yep, I’m a full-blown lacquerista now. Or at least I’ll pretend I am. Here’s how the color looks on me. I’m absolutely in love with it. I think it’s a great color both for lying by the pool in August and for making my nails sparkle in January, and I can’t thank my cousin enough (she also got me a Final Fantasy color from Yume Lacquer and some Doctor Who-themed perfumes from Fresh&Geeky, which I’ve been wearing daily because, come on, one of them is called Petrichor). It’s a great way to show my Mercury love, and to represent how Sailor Moon has helped me bond with so many amazing people.